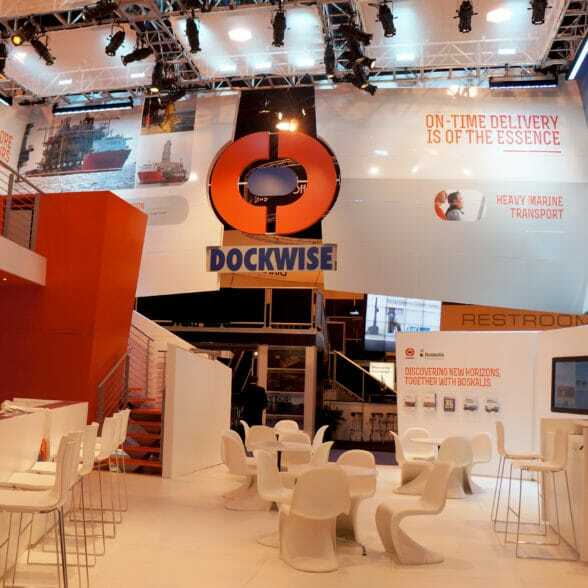 Tradeshows are key in Dockwise external communications. Plant the Brand in its role as directors in brand experiences have been leading in the overall project including project design, project management and project completion. A cross-selection of all relevant stakeholders has been interviewed: employees, suppliers, clients, shareholders, financial analysts and journalists. Today this distinctive brand key is the fundament of the Dockwise brand strategy. Dockwise is perceived as an outstanding enterprise in the offshore industry. 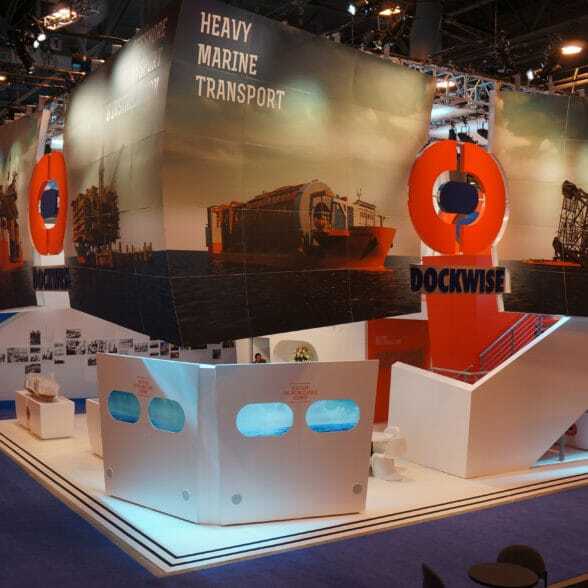 In the briefing based on the new Dockwise Brand key special attention has been asked for all “inconceivable projects” as well as the range of services in Heavy Marine Transport, Offshore Installation and Industrial Modular Logistics. 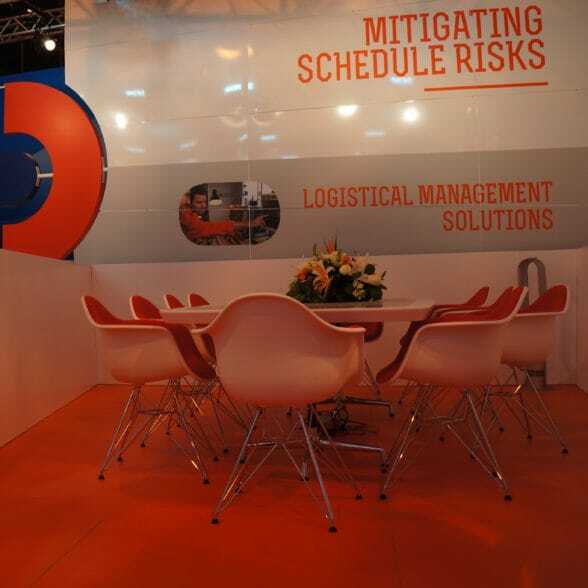 The Plant the Brand exhibition concept was designed to concretise the desired Dockwise business to business customer experience, to present the actual corporate messages as well as the services portfolio and projects; supported by prestigious visuals. 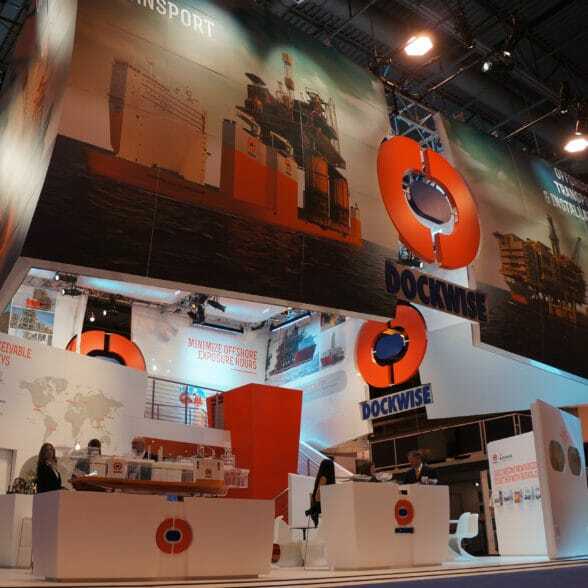 At OTC Houston 2013 on a 12 x 12 meter floor space the maximum building height was used to introduce the new Dockwise customer experience as well as its heroic achievements. The services portfolio was communicated inside at the 8-meter high eye-catching wall. 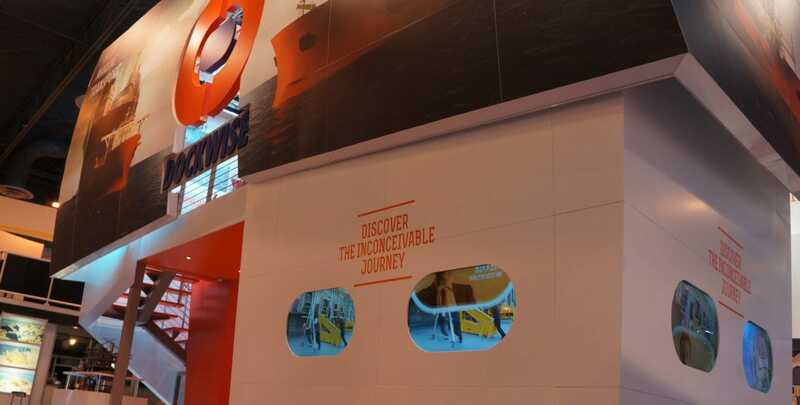 At ground level on the outside of the stand the Dockwise story was presented to visitors on 4 large screens; in a 7 minute Dockwise corporate movie various employees as well as customers the total concept and realisation containing explained the uniqueness of Dockwise as a company. The ground floor was designed to be open with a maximum of space to host customers on an accessible way. The upper floor with a separate meeting area was accessible on invitation only. Involvement Plant the Brand: Global Brand Survey, development & definition of new Dockwise brand values, overall 3Ddesign, the Experience-ingredients and components, Engineering, all Project Management, all Production and Turnkey delivery on-site.